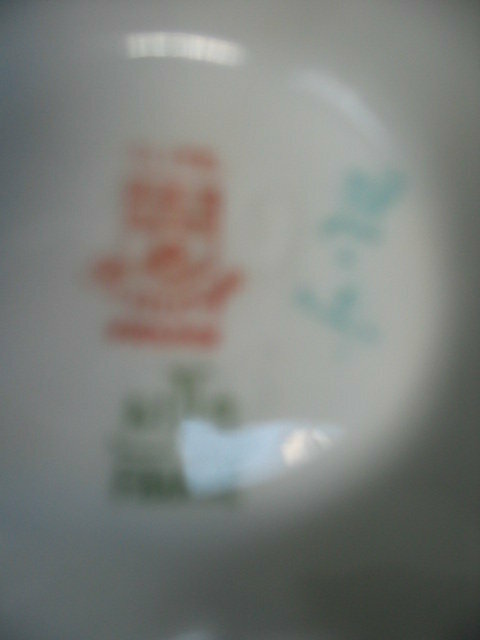 HERE IS A PROFESSIONALLY HAND PAINTED ARTIST INITIALED (M.G. 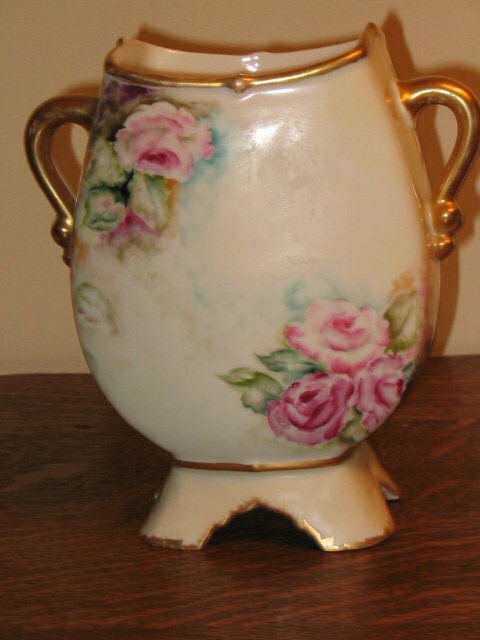 )VASE DECORATED BY ELITE WORKS LIMOGES. 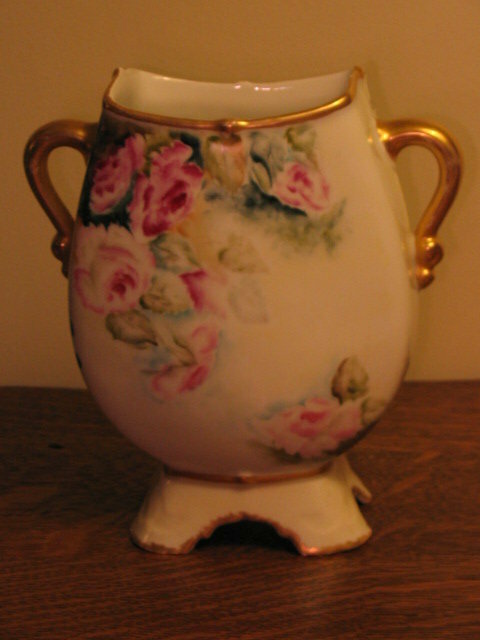 THE PINK ROSES ARE ON BOTH SIDES AND THERE IS NICE GILDING ON THE HANDLES RIM AND BASE. THIS IS AN EARLY PIECE WITH THE MARTIAL REDON MARK 2 IN GREEN UNDERGLAZE DATING IT TO 1891-1896 AND BAWO-DOTTER ELITE WORKS MARK 8 IN RED OVERGLAZE (1891-1900). NO CHIPS CRACKS HAIRLINES OR REPAIRS AND VERY MINIMAL GOLDWEAR. GORGEOUS! 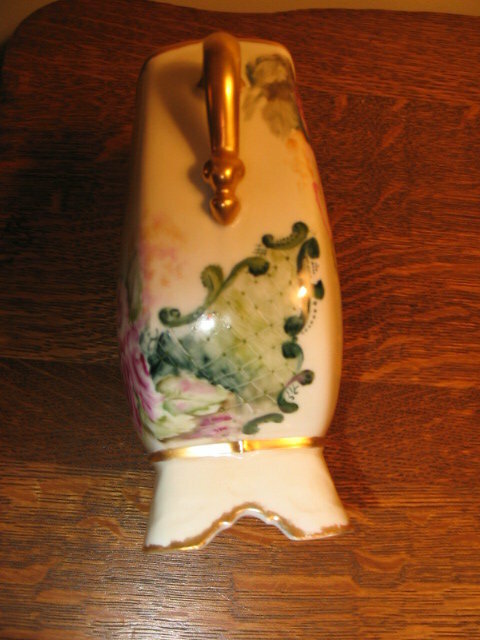 Items Similar To "HAND PAINTED ELITE LIMOGES VASE"